"No one in the airport terminal could see Raymond Shepard's skin crawling. They couldn't see it twisting like a bed sheet thrown over a swarm of eels." It begins with a crawling sensation on the arm or face. Slapping at a non-existent insect does no good as the sensation vibrates through the body....and changes the person. Alex and her brother Eric live in a big house on top of a big hill, all inherited. Their property overlooks the small town of Cannon's Mouth. Alex has fainting spells and Eric is a drunk, much like the rest of the town's inhabitants. In fact, the young people in Cannon's Mouth are mostly drunks and losers that hang out at the Good Times Pub. Alex and Eric witness the town change into something different....something very violent as the residents of Cannon's Mouth morph en mass into murderers who kill in a frenzy of savage, crimson rage. And....this has happened once before, a long time ago. What is it, and why is it happening again? 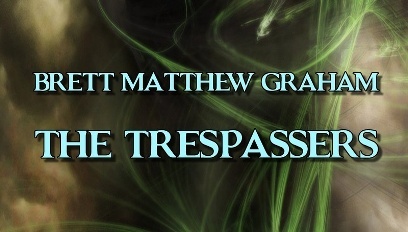 The Trespassers by Brett Matthew Graham begins with action and reads fluidly throughout. The book has a polished feel as though written by a professional. It has been carefully edited by Steven Marshall of SNM Magazine fame, so you won't see any of the typos or grammatical errors too often found in other books these days. 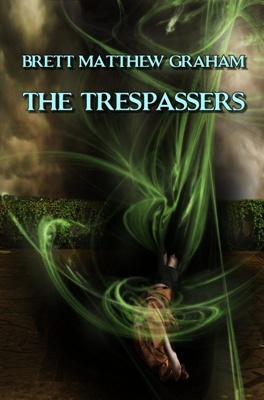 In fact, The Trespassers has been published by SNM Book Publishing. The 6" x 9" book has a hefty feel, weighing in at 348 pages, and sold for the amazingly low retail price of $12.99. With crisp, white pages and an eye-catching cover, this is a nice book. About the plotline: the character development goes on a bit too long in The Trespassers, and there are an awful lot of characters to keep track of; but these things can easily be forgiven by the excitement Graham's writing can generate. The descriptive prose pulls in the reader. Brett Matthew Graham has the ability and the talent to keep the reader absorbed with the fear and the violence that befalls Cannon's Mouth. Graham creates such unique events as a woman who leaks water from her feet, a "morning after the basement party" filled with amnesia-sufferers that has nothing to do with alcohol-induced blackouts, and a morphed woman pushing herself through the bars of a jail cell, deliberately breaking her own bones in order to fit better. The Trespassers contains a lot of twists and turns. The ending is satisfying and throws yet another surprise at the reader. All in all, despite the violence and mayhem, the reader relates to the characters and feels sorry for most of them. Although all of us have known losers who never amount to much after high school, we still would never wish the events from The Trespassers to happen to any of them. Or would we? 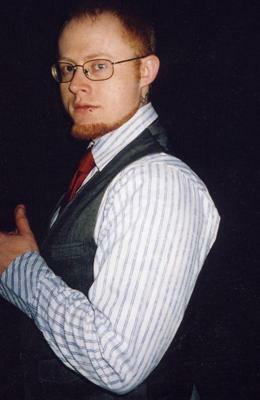 Brett Matthew Graham writes prose, poetry and music. 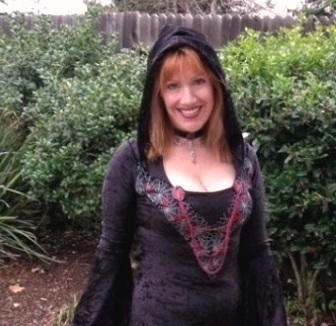 He has five published stories with SNM Horror Mag, following his novella collaboration with the Senior Editor, Steven Marshall, entitled, "Occultica." He appears in BBB II, III and IV. He is also the 2009 SNM Author of the Year. This marks his debut premiere novel. Brett currently resides in Shadyside, Ohio, with his lovely wife and enjoys playing in a local band with friends.